This was the sixth visit to Moldova for Polish medics, Bożena and Marek. However, it was the first trip for Hania and Piotr, who worked with them, and it was the fulfilment of their dreams. Together, over six days, they were able to check the sight of about 300 people and the hearing of about 130 people. They gave out around 450 pairs of glasses and several hearing aids. They prayerfully ministered to and helped the needy, using as best as they could the gifts and talents given them by God. For many of the people who received help this was a life-changing moment! My role, as always, was organising this trip, registering patients, and all other kinds of help. So really, the medics’ visit was the result of many weeks of preparation and setting things up for them. And so, after the end of our medics’ visit and their return to Poland I began planning for the next mission trip .... in the Spring of 2015! 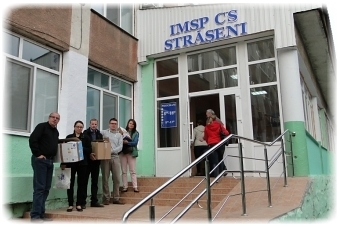 Thank you to all of you who support The Mission of Children’s Friends in Moldova. WE STILL NEED YOUR HELP! Mostly financial help is needed but also prayer and material help too. 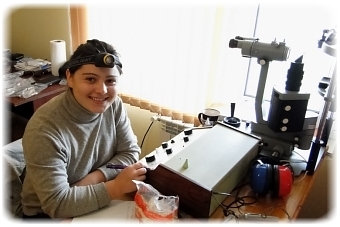 I urge you to consider getting involved in the work of The Mission of Children’s Friends in Moldova! To God alone be the glory!